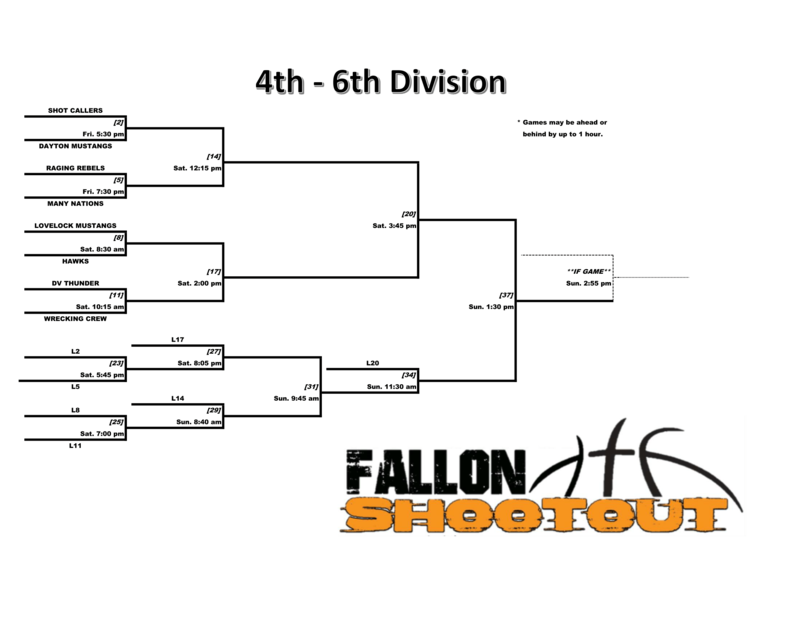 The Fallon Shootout Co-Ed Basketball Tournament is held annually. 2019 marks the 15th year of the event! 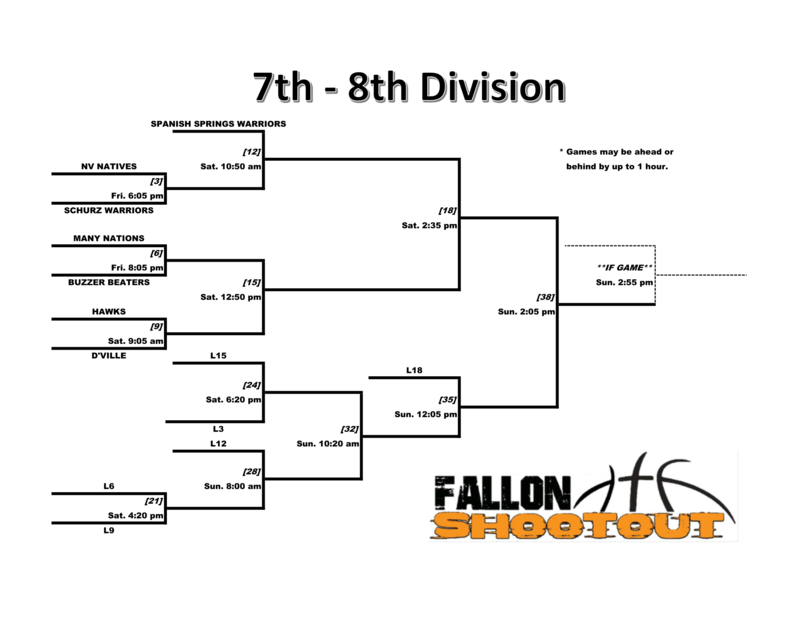 The tournament Double Elimination and is limited to 8 teams per division for a total of 24 teams. To Register: Complete the Online Team Registration Form or print and Mail/Fax the Print Registration Form & Roster - both located below. 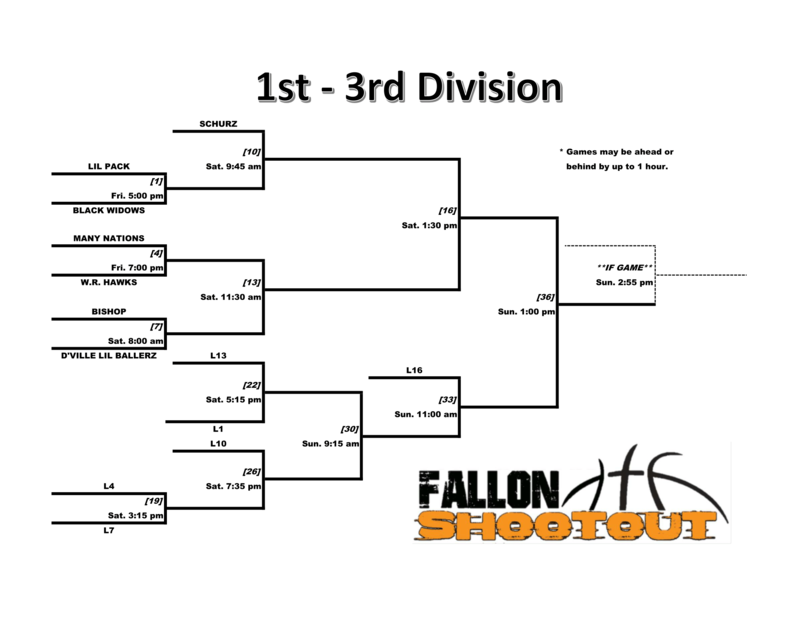 Team Rosters are due 3 days prior to the first day of the Tournament and need not be submitted at the time of Registration. The Comfort Inn in Fallon is our host hotel. 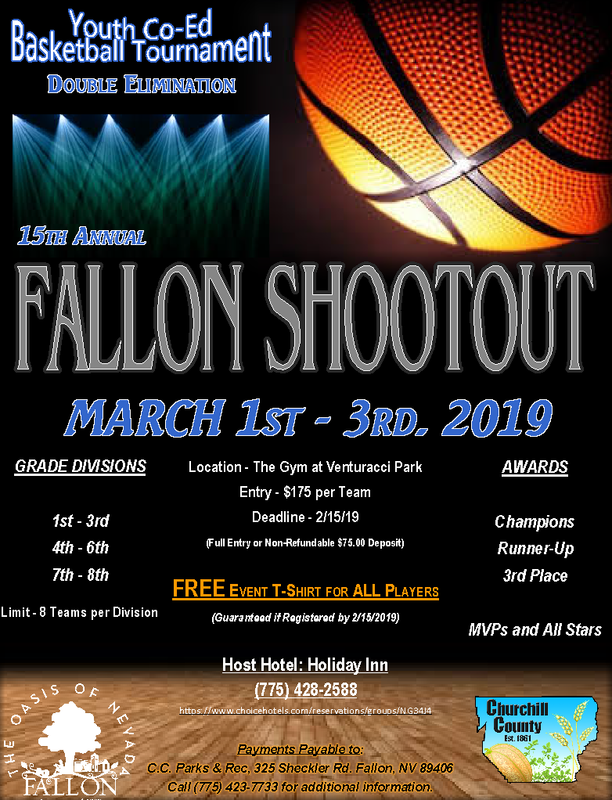 Use the booking link below or call them directly and mention the Fallon Shootout for great room rates!